Introductory: Disorderly condition of Edinburgh during the sixteenth and the early part of the seventeenth centuries. Acts of Parliament, Privy Council, and Town Council, for remeld. 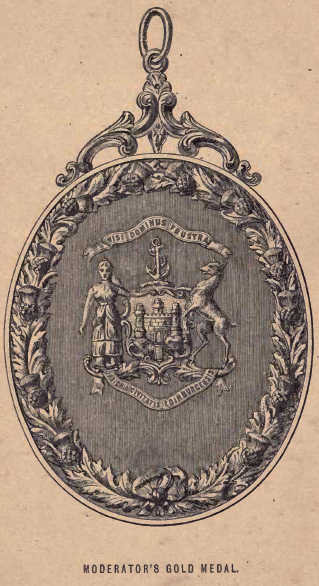 Institution of Constables in the City; their duties in connection with the suppression of beggars, vagabonds, night-walkers, &c.; the wearing of fire-arms; the watching and peace of the city; the enforcement of the laws against Popery; the cleanliness of the City; the provision by the citizens of befitting armour; the suppression of profane swearing, &c.
1611-1700: Election of Constables in Edinburgh. Institution of Justices of the Peace and Constables throughout the country. Orders and Injunctions for City Constables, and General Articles and Injunctions for Constables. Watching Arrangements of the City. Cleaning Arrangements of the City. Duties of the Constables in relation to these, and as to strangers, lodgers, and loose and dissolute persons within burgh, and as to Sunday observance, &c.
I701-1800: Orders for the internal regulation and discipline of the Society. Elections of Constables. Legislation against Sunday profanation and immorality. Duties of the Constables in enforcing that legislation, in attending at fires, in assisting revenue officers, in taking up lists of persons liable to serve as jurymen and in the militia, in attending magistrates on public occasions, in preserving the peace, in assisting recruiting officers, in preparing Parliamentary returns, &c. Donations by the Society to charitable objects. "Instructions" to Constables in 1728, 1750, and 1786. Dangers attending execution of office. Services of the Society connected with the rebellion in 1745. Duties of Constables in relation to the watching and cleaning arrangements of the city. Festive meetings, &c.
1801-1865: Elections of Constables. Regulations by the Town Council as to the constitution and management of the Society. Question as to the relation of the Society to the ordinary Police. Society authorised to assume the distinctive title of "High Constables." Alterations in its numbers. Disputes with the Town Council. Rules enacted by the Society for its internal administration, and questions in connection therewith. Miscellaneous duties; keeping the peace; collisions with the military authorities in the discharge of that duty; attending magistrates at public ceremonials; preparation of parliamentary returns, jury lists, and lists of persons liable to serve as militia men. Philanthropic services. "High Constables' Volunteer Company." Questions of Precedency with other Local Bodies. Loyal Addresses. Festive Meetings. Annual Excursions, &c Insignia. General Observations, &c. .